The Mont Blanc Tunnel, located under the mountain of the same name, was at the time of its opening the longest highway tunnel in the world. On this day in 1965, the tunnel under the Mont Blanc, the highest peak in the Alps, was officially opened. The ceremony was attended by the French president Charles de Gaulle and the President of Italy, Giuseppe Saragat. At the time of its opening, it was the longest highway tunnel in the world. Indeed, the tunnel under Mont Blanc was then roughly triple the length of the next-longest road tunnel in the world, making it a world wonder. It kept the title of the longest highway tunnel during the next thirteen years. The tunnel under Mont Blanc is 11,611 meters long. It reduces the route from France to Milan for as much as 100 kilometers. The Tunnel is of great importance for traffic because a considerable part of cargo and passengers traveling from Italy to the northern part of Europe and vice versa go through it. The tunnel passageway is located a few kilometers northwest of the highest peak of the Alps – Mont Blanc – which is 4,810 meters high. Alpine peak Grandes Jorasses is situated at about the same distance from the tunnel, but on the opposite side of Mont Blanc. On the northern side of this summit is a spectacular cliff, which represents one of the most impressive northern mountain sides in the Alps in general. 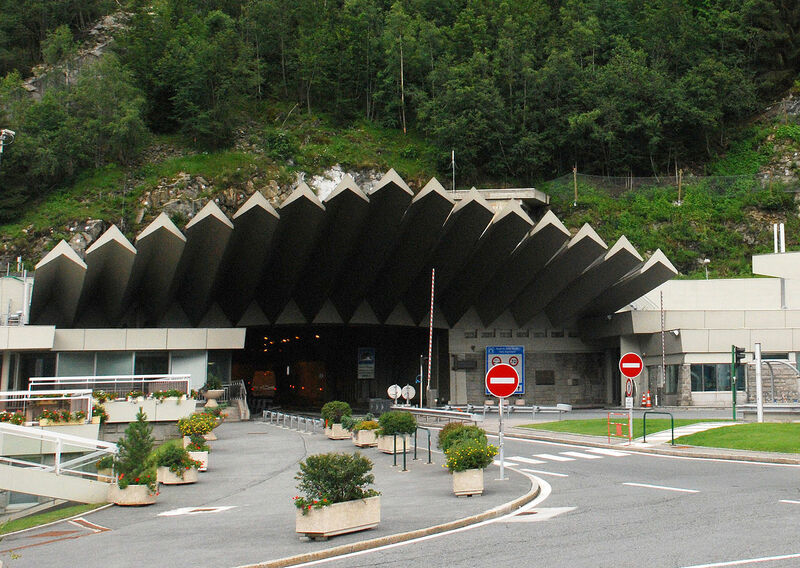 About 15 kilometers northeast of the tunnel lies the border between Italy, France, and Switzerland.